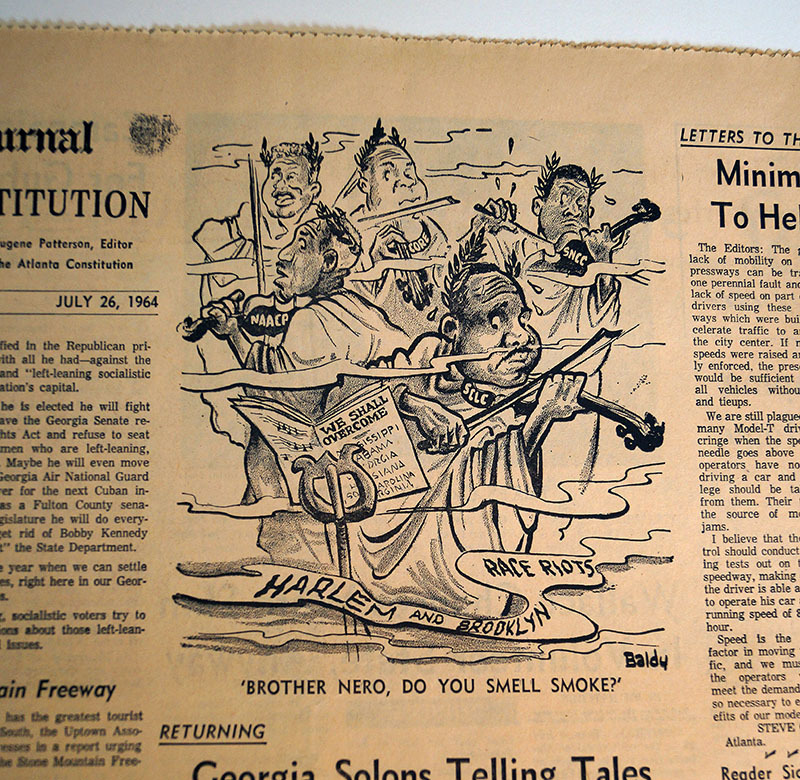 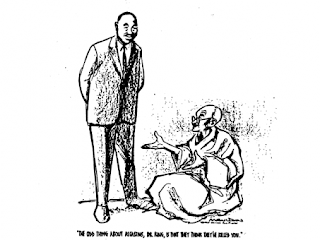 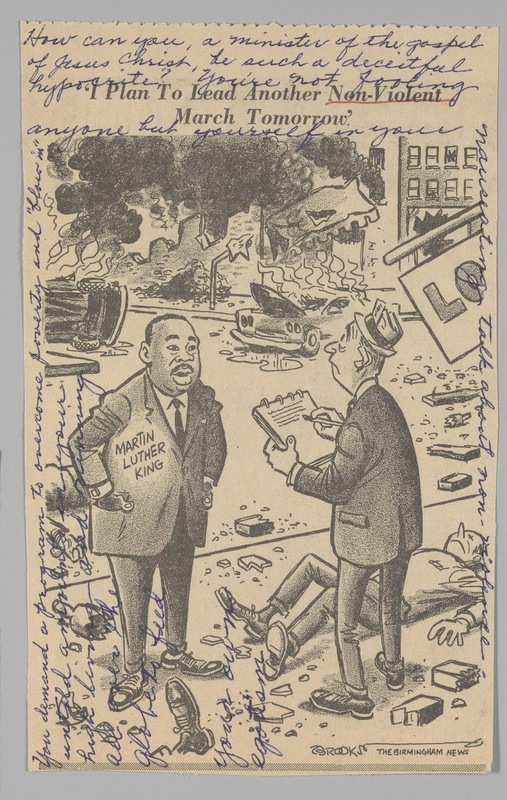 These days, cartoonists often take a moment on Martin Luther King Day (yesterday) to honor the Civil Rights activist instead of skewering whatever the topic du jour is. 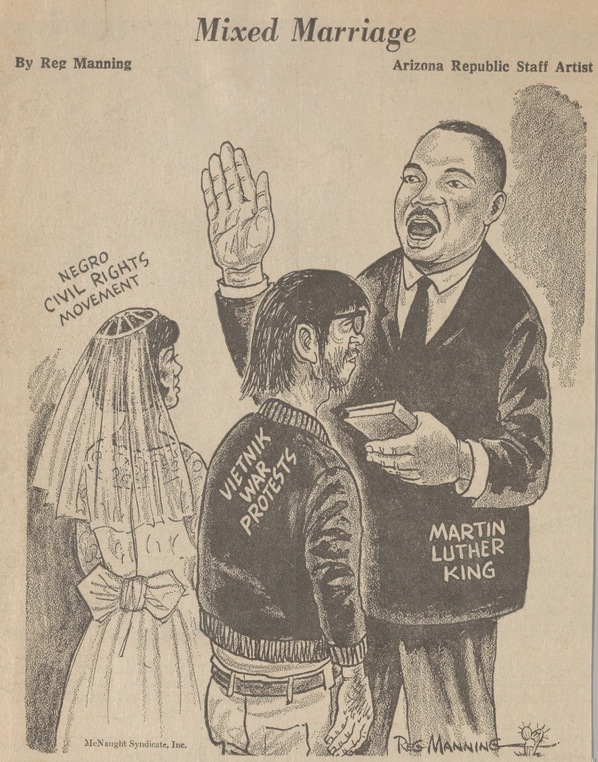 This generally takes the form of a drawing of Dr. King with a quote from him, frequently from his "I Have a Dream" speech. 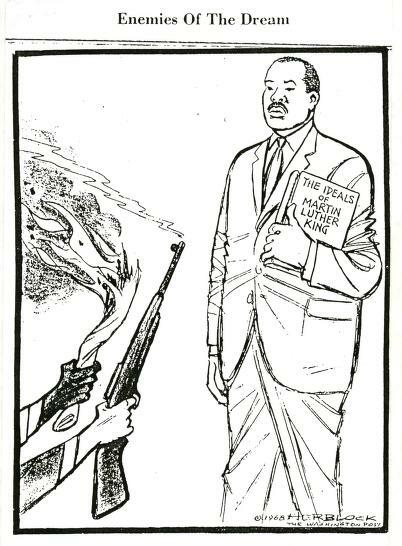 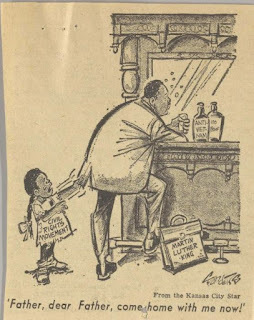 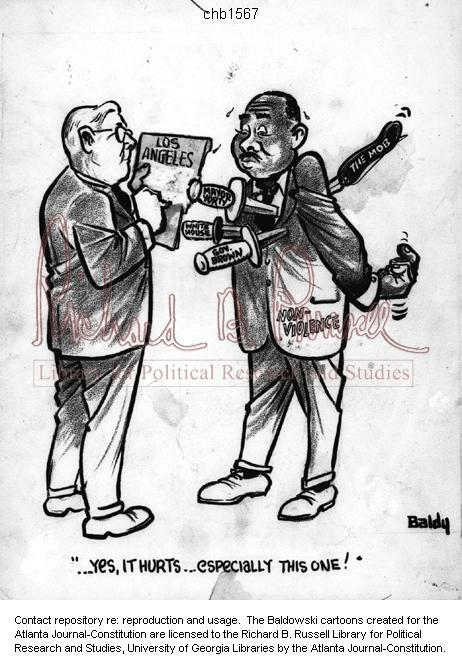 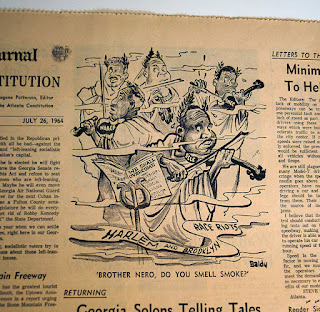 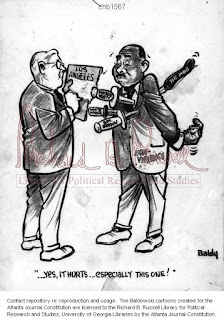 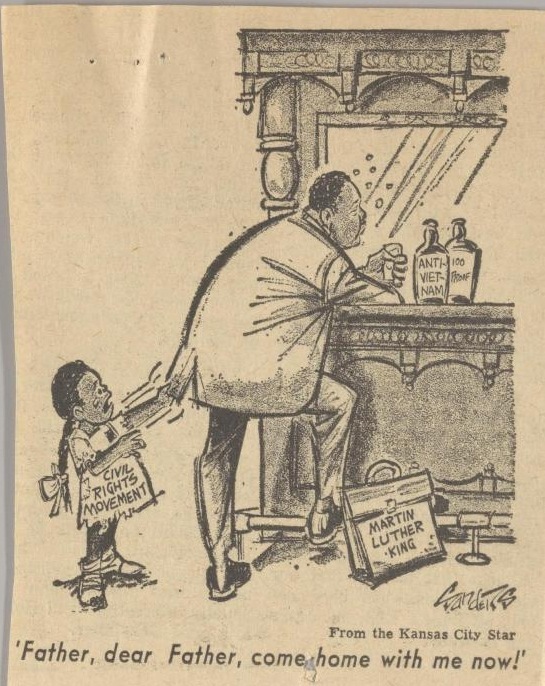 Which is nice, if unoriginal, but I was thinking that it must mark for a noticeable contrast from how King would've been depicted by cartoonists in the 1960s. You might recall that King, while lauded as almost a saint these days, was considered a very controversial figure back in the day. 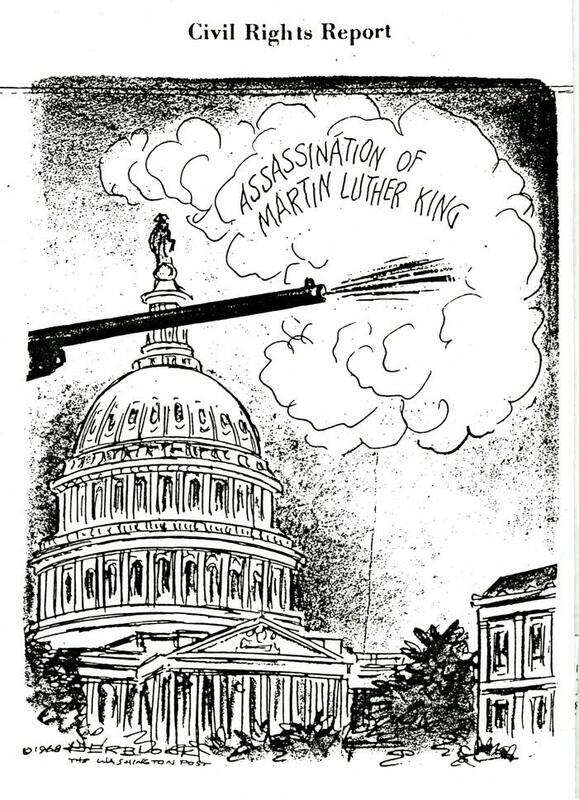 That's why J. Edgar Hoover worked for years to use every FBI resource available to discredit him at every opportunity, and why he was eventually assassinated. It's always frustrating to me how much these aspects of history are glossed over. 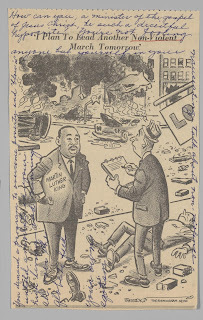 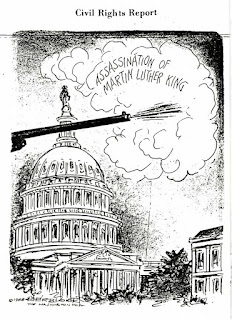 Had MLK lived into his 70s and continued in his work, he likely would have been treated as a polarizing figure, whom the media insisted on "balancing" with views of people who regarded him as a dangerous traitor. Instead, being safely in the ground, he is treated as a secular saint--but only in simplified form, as the bearer of an anodyne message that has no specific bearing on contemporary controversies.